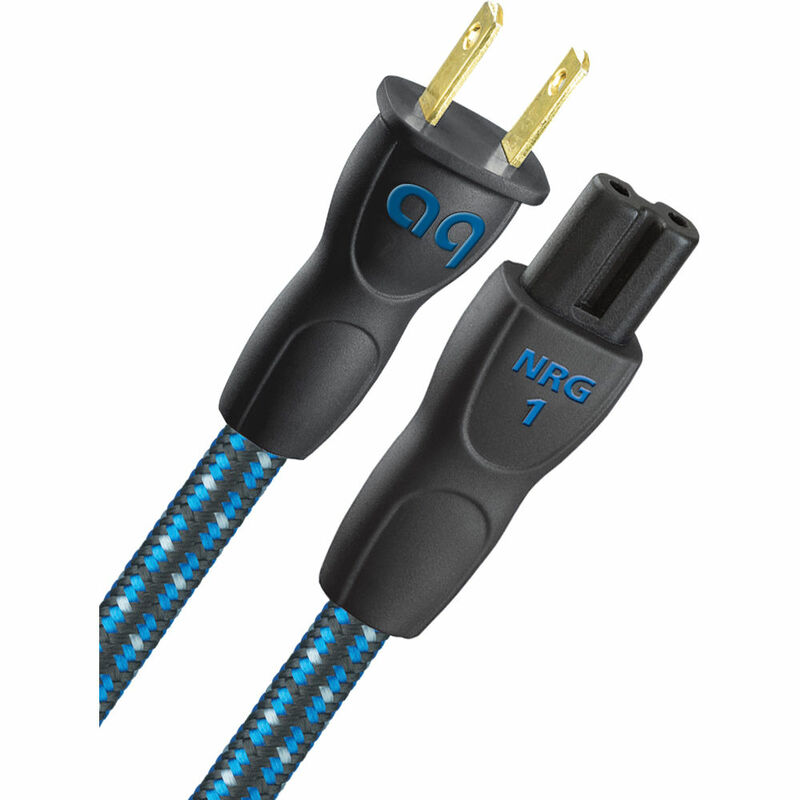 The AudioQuest NRG1 US 2-prong Power Cable (3') is designed to reduce distortion in your signal chain. To achieve this the power cord utilizes long-grain copper in a star-quad geometry with cold-weld connections. The long-grain copper has less oxides, less impurities, and less grain boundaries than industry standard oxygen-free high conductivity copper, which reduces the amount of interference within the cable. The geometry of the design influences the basic electrical properties of the cable, such as inductance and conductance. The use of cold-weld connections insures that the joints between the cable and hardware have a reduced influence influence on the signal clarity. Box Dimensions (LxWxH) 11.1 x 7.7 x 1.2"